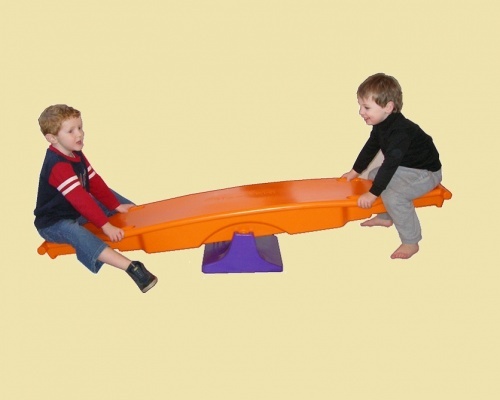 Educational & developmental play for childcare, montessori & preschool. 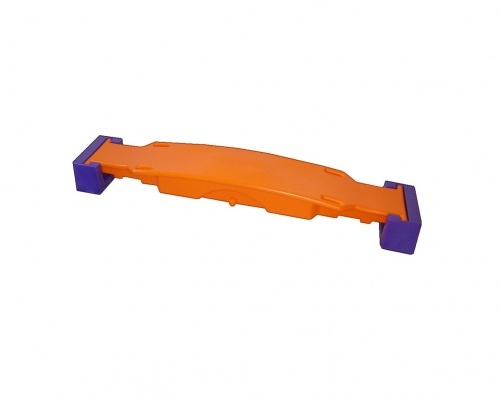 5 pieces: see-saw and half height cube in orange + pivot block and 2 end connecting blocks in purple. 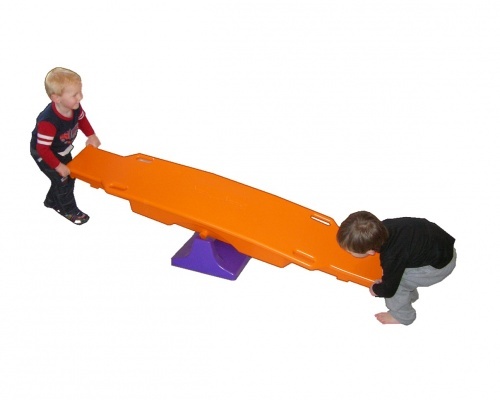 See-saw is totally unique and designed for small children to safely enjoy. Safe, fun & easy to use. 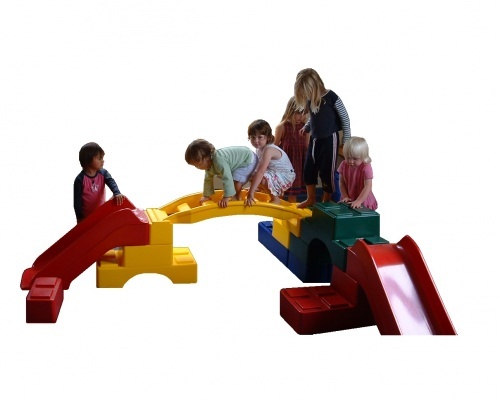 This yellow 3 piece set consists of an Arch Ladder and 2 connecting blocks. All pieces interlock with other Play-Stax options.